From our law office in Denver, Colorado, the legal professionals at Griffin Newell, LLC are dedicated to helping you with everyday challenges and problems affecting your life and livelihood, your family, and your future. With extensive, diverse professional backgrounds, our lawyers are prepared to serve the interests of individuals and families. We pledge to deliver the quality, personalized counsel and representation you deserve as we thoughtfully pursue favorable outcomes on your behalf. Our varied backgrounds help us connect with those we serve to provide the customized solutions they seek, efficiently and cost-effectively. We provide attentive, customized service to help you protect your rights. We are here to support you when you are dealing with a difficult situation, and help you solve problems. 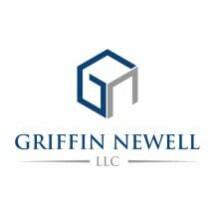 Learn more about Griffin Newell, LLC and how we can meet your needs. Call our law office, or visit our website to request a free initial consultation.